In the first 2 days of spring, you can "fill" your stomach with delicious dishes, sit and relax in coffee house or visit temples. 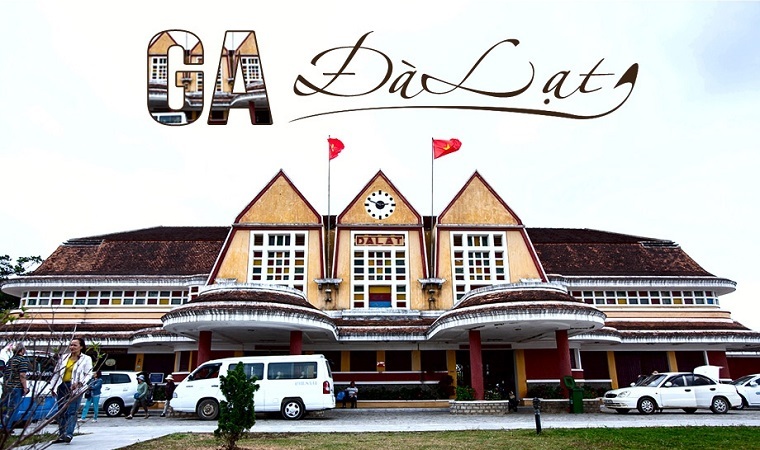 Da Lat in Lam Dong province, located on Lam Vien plateau, more than 300 km from Ho Chi Minh City. The city is located at an altitude of 1,500 m above sea level famous for its romantic natural scenery, cool climate all year round. Perhaps so, this place became a familiar destination with many tourists. 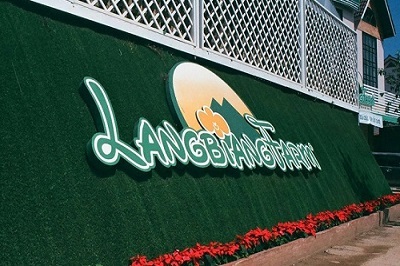 Here is the experience to people planning to come here during the upcoming Lunar New Year. 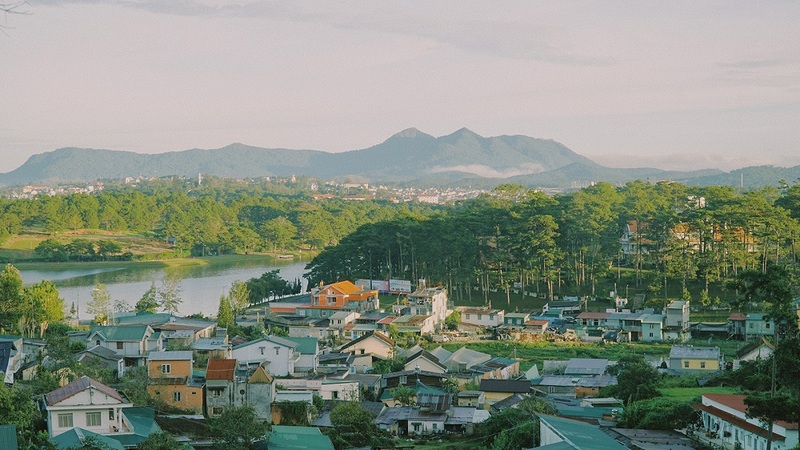 In the South, you have many options to go to Dalat. 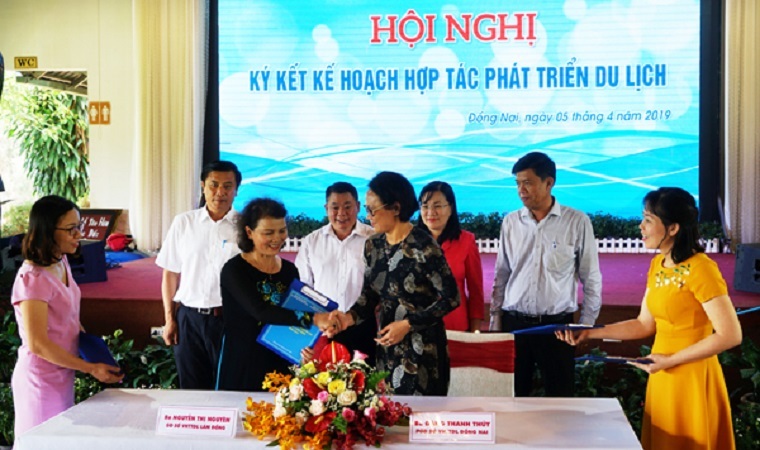 If you want to save time, take a plane, a one-way ticket from Ho Chi Minh City costs from VND 2.5 million. 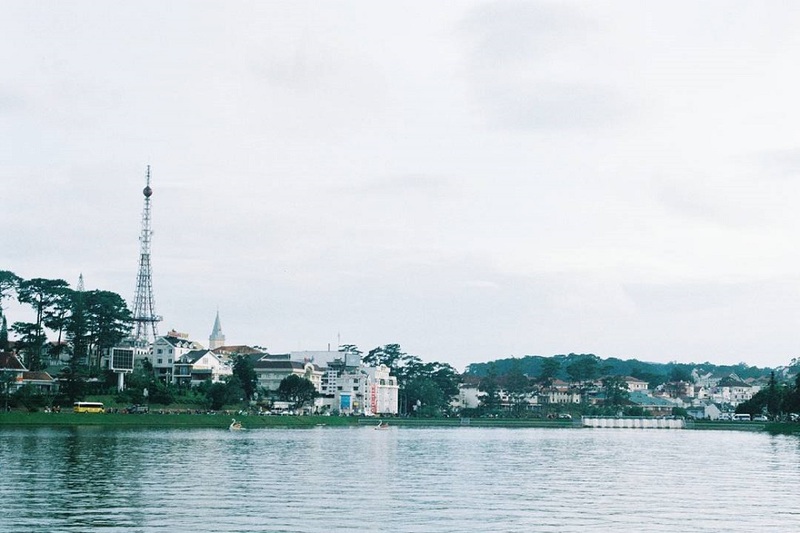 If you want to save costs and have plenty of time, you take the bus for 220,000 VND one way. 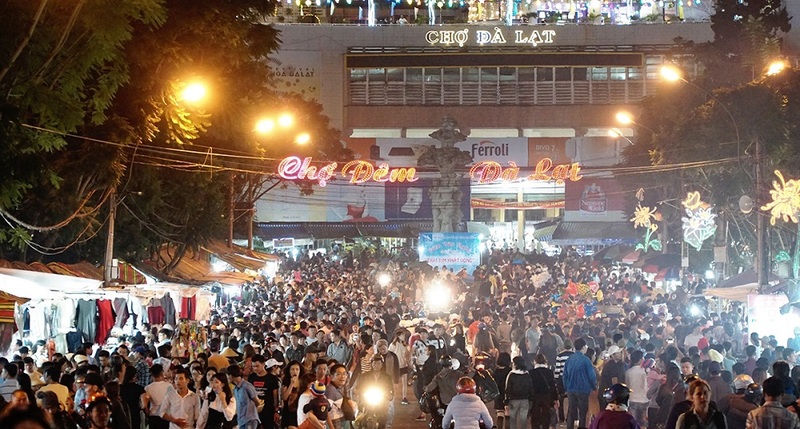 Tickets on New Year can increase from 5,000 to 10,000 VND depending on the car company. Many guests often choose the nighttime frame to get to the city early in the morning. Guests should book tickets in advance because on holidays and New Year, car companies often run out of tickets. 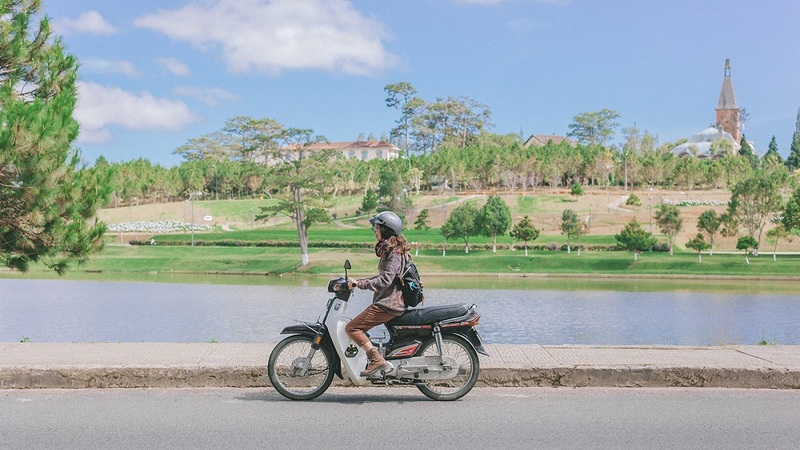 Many young people who love to explore will drive motorbikes from Ho Chi Minh City, the average travel time is 7 hours. In the North, tourists often fly. The survey price for Tet holiday ranges from 5 million VND one way if going from Hanoi. Bus or motorbike is not an appropriate choice if traveling from Hanoi. 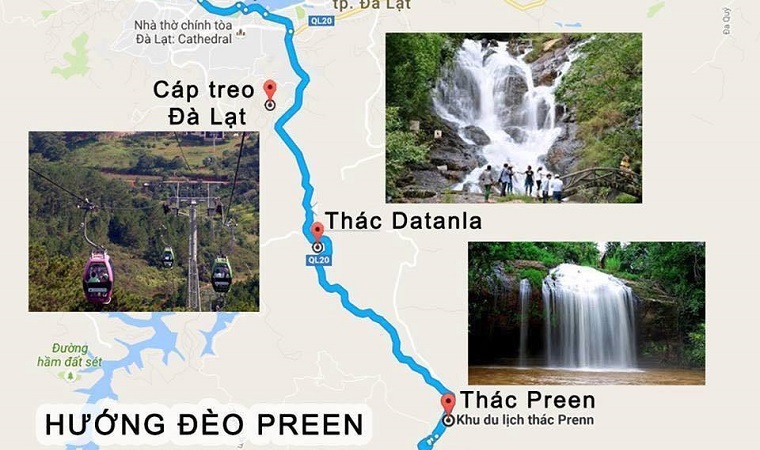 You can calculate the flight schedule to Ho Chi Minh City and use other means to get to Da Lat. 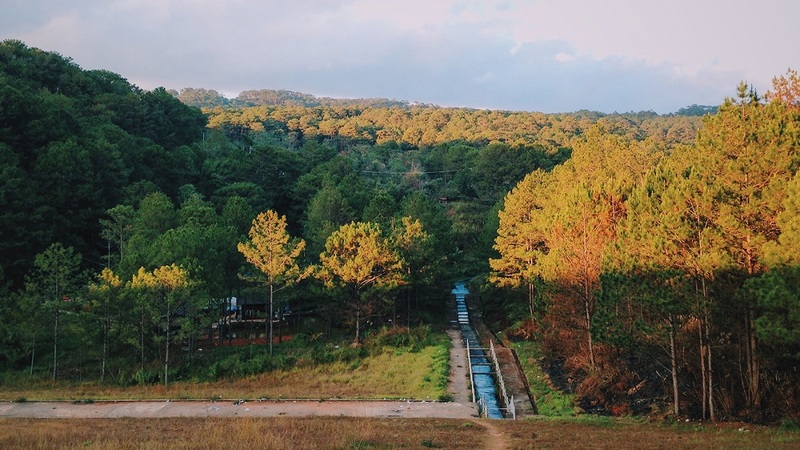 In Da Lat, you should rent a motorbike to comfortably move to the attractions. Car rental prices range from 100,000 VND to 150,000 VND per day. With a motorbike, you can easily move in the city center. 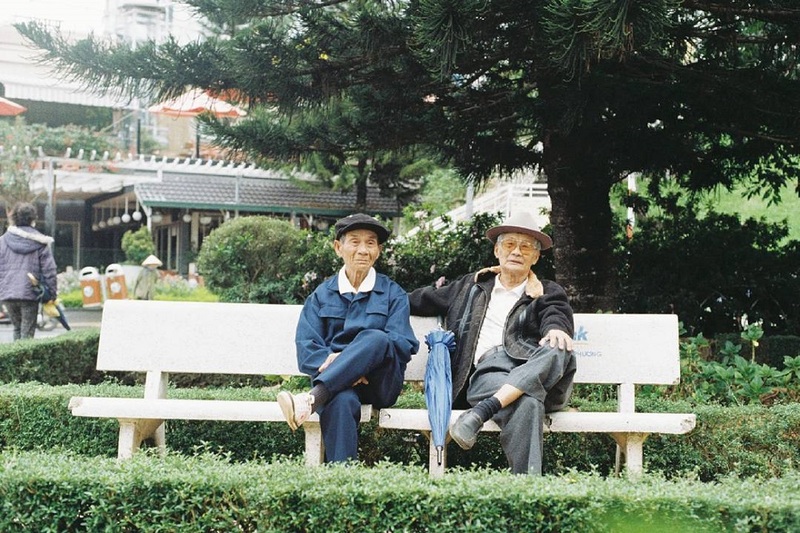 Photo: Nho Nguyen. 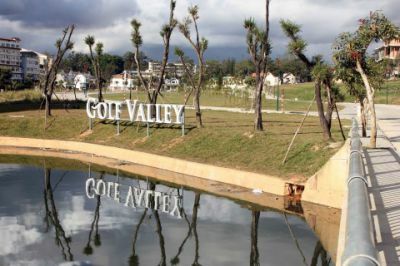 Tourism in Da Lat is growing strongly. 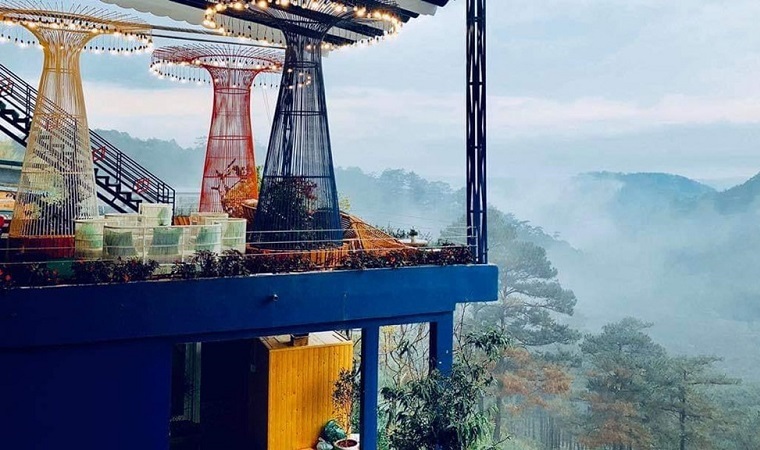 Depending on your budget and preferences, you can choose suitable accommodation, from motels, hotels to resorts or homestays, apartments for rent. 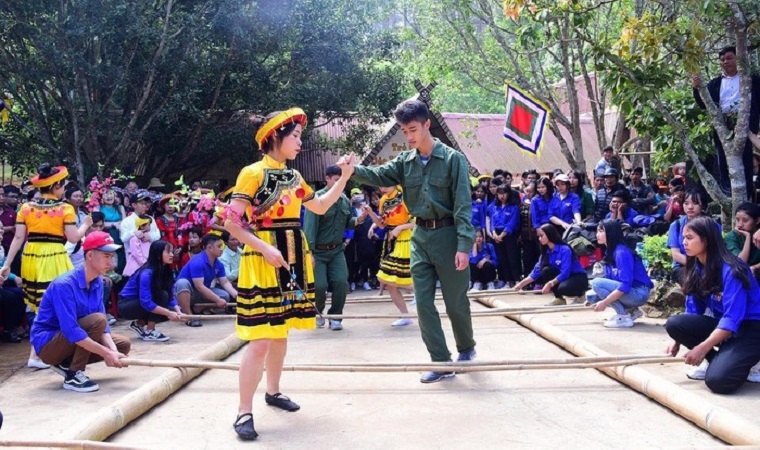 Similar to car tickets, the "fire" situation often takes place in Da Lat on special occasions. So you should book in advance to avoid no accommodation. In addition to the romantic scene, the "city of love" is also a snack paradise. Here, you are spoiled for enjoying specialties at an affordable price. 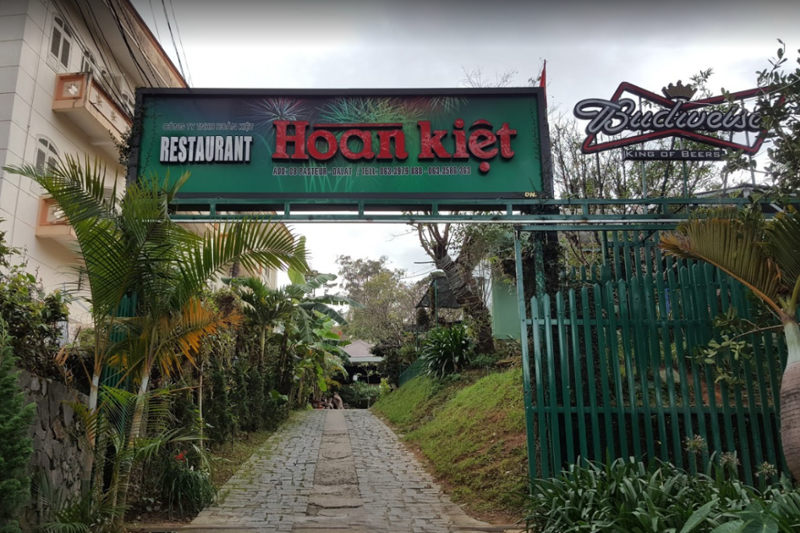 Areas such as Da Lat market, Hoa Binh area, Anh Sang hamlet, Hoang Dieu - Tran Nhat Duat street are places where many shops are concentrated. Some dishes must be tried such as dumplings, rice cakes, wet chicken cakes, baked rice paper, soy milk, strawberry smoothies, butter cream. 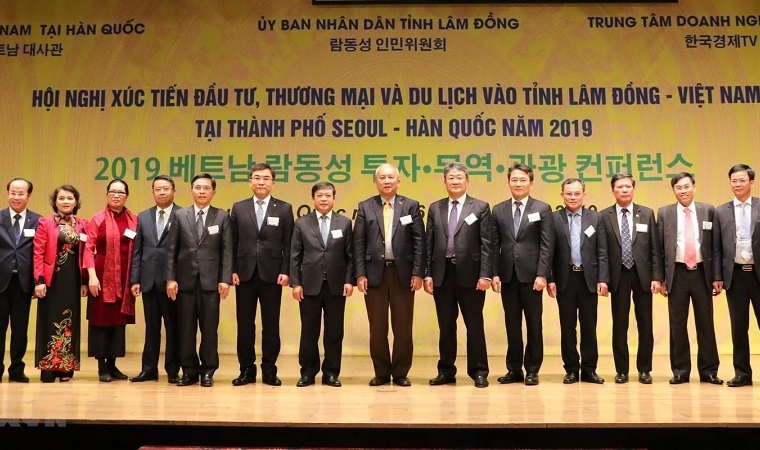 Bài viết sẽ đề xuất một lịch trình hai ngày cho du khách đã ở Đà Lạt, không kể thời gian đi lại. Meatball bread is the right dish for breakfast. This is also a typical dish of the mountain town that if you come here for the first time, you must definitely try it. A simple dish is a cup of clear broth with a little fat for a greasy feeling, some green onions are eye-catching. Many guests will add a bit of satay to create color and spicy taste. You can use extra prices, coriander or non-crispy shrimp, put in the cup when it is hot to soak the sauce and it will be very fragrant. 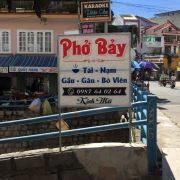 Coming to Da Lat, you will not be hard to find a place to enjoy this dish. 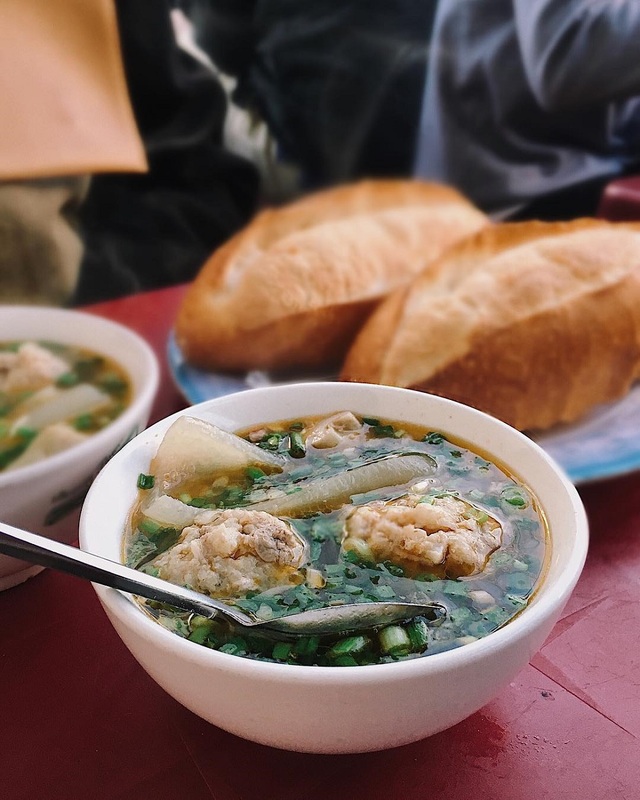 In addition to the points outside the market gate, the school, you come to a small shop in Anh Sang hamlet or Bui Thi Xuan fork - Thong Thien Hoc. 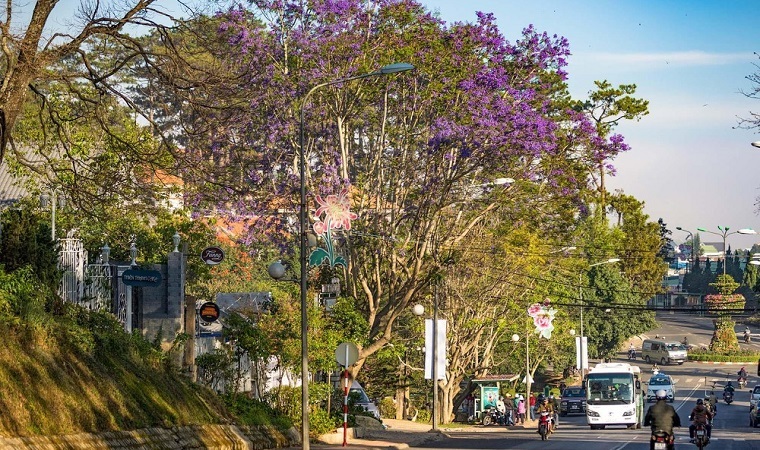 On the first day, you can take the time to get around in the center of Dalat. 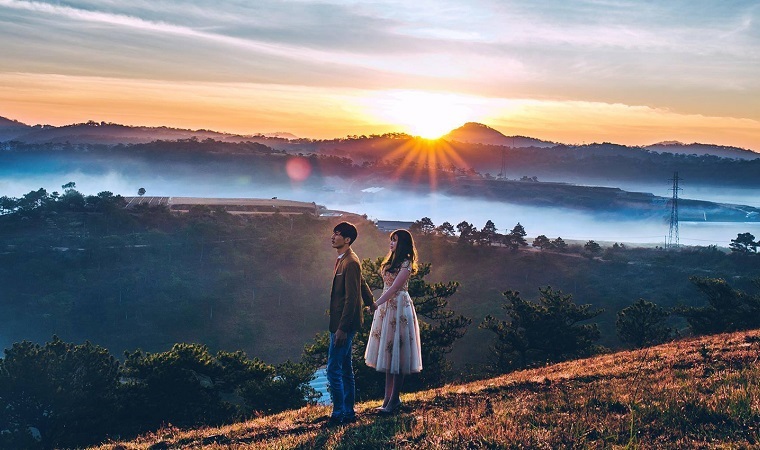 Some attractions have beautiful pictures such as Xuan Huong Lake, Da Lat Teachers College, Da Lat Station, Lam Vien Square, Chicken Church, Da Lat Flower Garden. These points are only a few kilometers apart, so for a few hours you can go. Featured among these places is Con Ga church with over 70 years of age. The building was built in 1931 and completed in 1942. 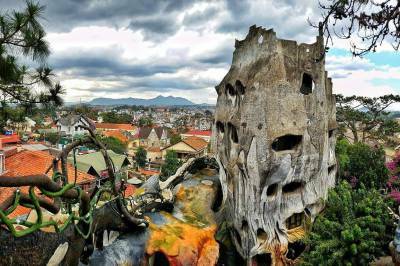 With Roman architecture, this is one of the oldest remaining French architecture in Da Lat. 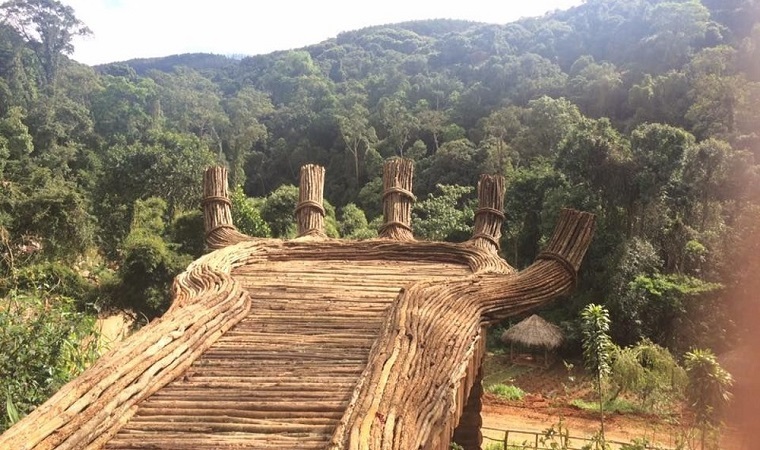 The church is built in a cross shape, 65 meters long, 47 meters high. Both ground and vertical surfaces are symmetrically built. With this height, from the church bell tower, people can see the whole city. As a dish of variation, wet chicken cakes gradually occupy many people's feelings because of different flavors. The dish is sour because it is served with chicken salad, unlike the wet cake that is often served. How to prepare simple, when eating, you will feel before the aromatic taste of wet cake, sweetness from the piece of meat, chicken heart in the taste of moderate sauce, add a little spicy of chili and fragrant aroma from herbs. 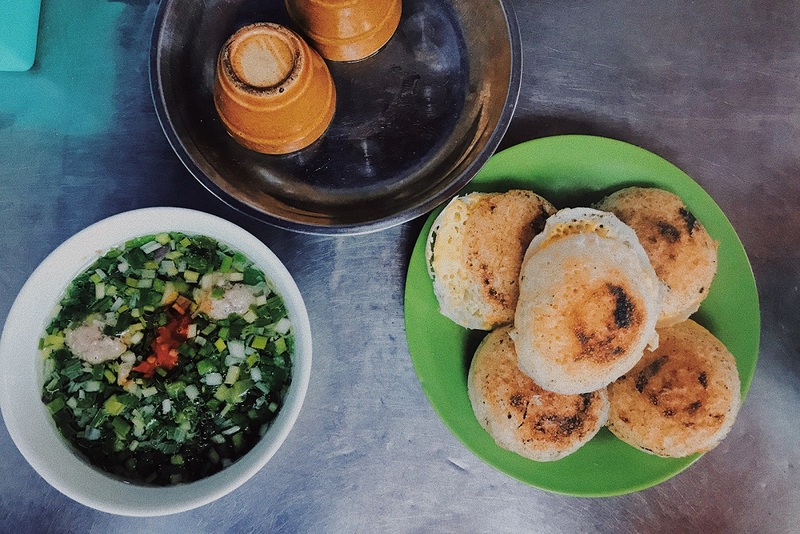 This dish is quite popular in Da Lat. Each part has an average price of VND 35,000. 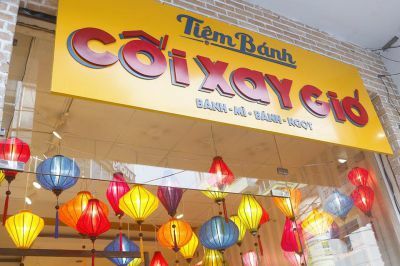 Visitors can find the restaurant at Tang Bat Ho or Phan Dinh Phung streets. Truc Lam Yen Tu (Quang Ninh), Truc Lam Tay Thien (Vinh Phuc), Truc Lam Zen Monastery of Da Lat are the three largest Zen monasteries in Vietnam. 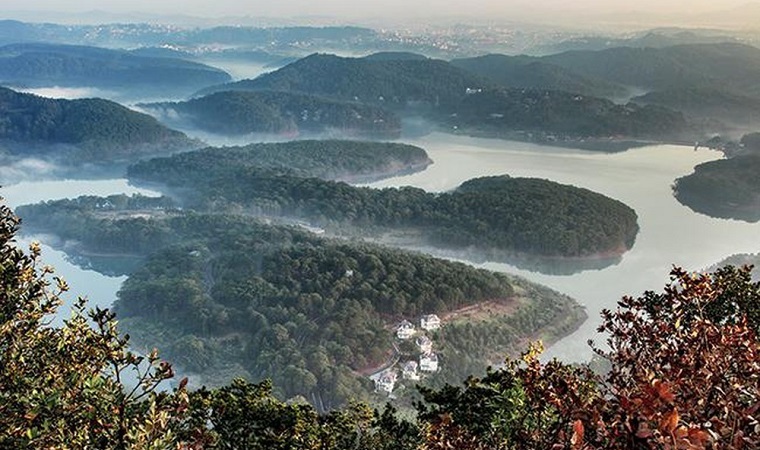 The project is located on the vast Tuyen Lam Lake, 5 km from the city center. Surrounding this place are dense pine forests. Visitors can come here to pray for the first year and enjoy the fresh air in the lake. 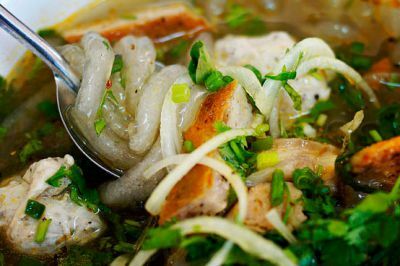 If the South has chicken hotpot, the North or using wormwood to dip with chicken, then to Da Lat, you will enjoy a strange taste of chicken. That is the chicken leaf hot pot. This leaves a slightly sour taste when eaten raw, but when it is dipped in a pot of hot pot, there is a fleshy taste, slightly the tip off the tongue. In particular, the leaves are also a medicine for treating diseases such as colds, cold cough, and good sleep, so the dish is also an "effective remedy" for those who suffer from these symptoms. Inside the hotpot, there is also fresh bamboo shoots. Chicken usually dotted with lemon pepper salt, you will feel the sweet, spicy taste intertwined. 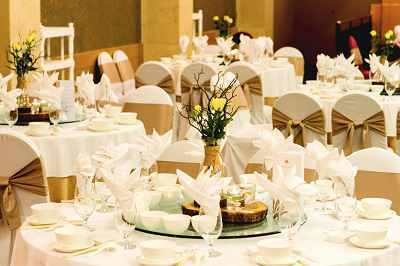 A hotpot of 250,000 VND includes a half-chicken, a plate of fresh vermicelli, a plate of mushrooms, a plate of vegetables. 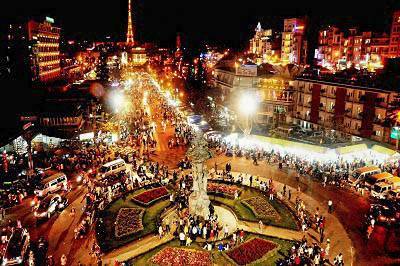 Night market is one of the most attractive destinations in Da Lat. Every day, thousands of tourists flock here to shop, eat and drink, but ideally visit this place in the evening. 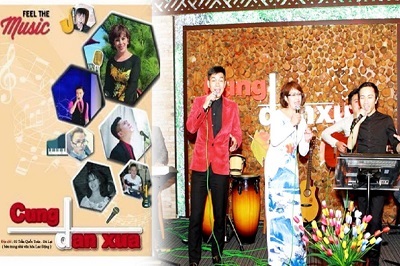 Night soy milk is the experience of many young people whispering "must-try" (to try) when coming to Da Lat. In the cold weather, guests enjoy a hot glass of milk and chat with friends or relatives. 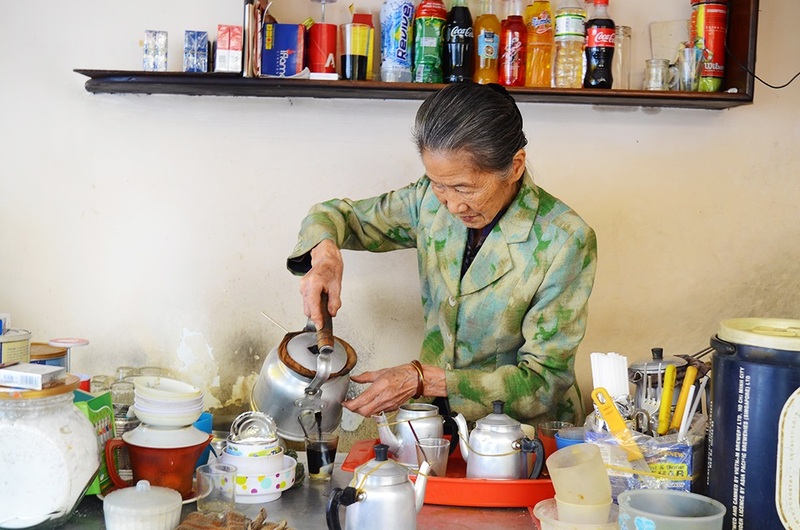 The city has many milk selling spots but the most famous is soy milk at the corner of Tang Bat Ho street or a small shop near Anh Sang hamlet. At these addresses there are many types of bean milk with different flavors. You can drink soy milk with a cow milk, peanut or pineapple leaves. 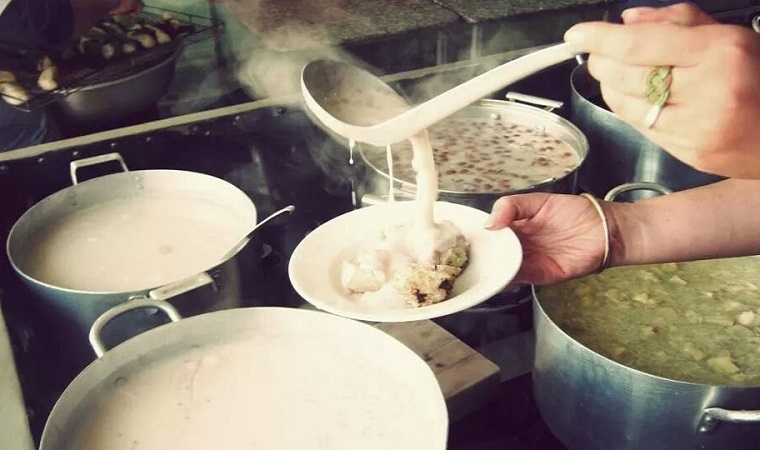 Regular customers often order with short names such as soy sauce (soy milk with peanuts), cow soy (soy milk and cow's milk), green soy (soy milk with green bean milk)... To eat In addition, diners can order cakes such as buffalo horn, su cream... Moderately sweet, slightly hard. The price for each cup of milk is only VND 9,000. 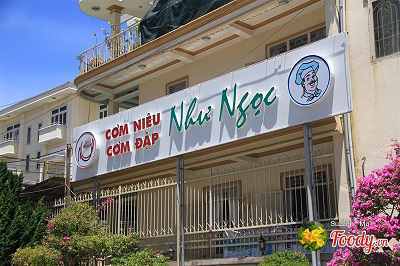 For those who love Da Lat, Mrs. Nam's coffee shop on Phan Boi Chau Street is an indispensable stopover. 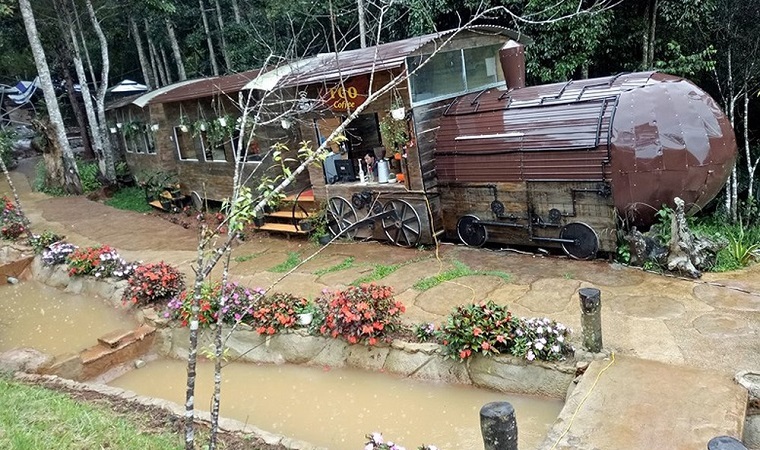 This place is the familiar coffee meeting place of Da Lat people and the place to keep memories of many travelers. The shop space is about 20 m2, including only a few wooden tables and chairs inside and added in the sidewalk. Guests come to the restaurant in the morning with many older people. 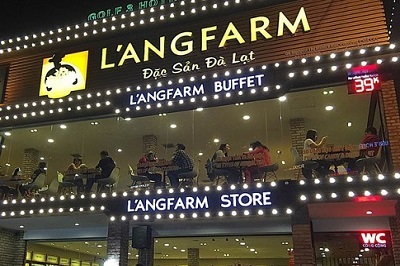 Many visitors to Da Lat on the bus soon visit the restaurant. Racquet coffee often does not have a solid consistency, but has a long aroma. The strong bitter taste and the aroma of each drop of coffee leave aftertaste after drinking. The cake is imported into Da Lat from other regions, processing is not too sophisticated. The cake is molded with rice flour, but it becomes special and leaves the impression with diners when the cake variations with many diverse tastes. Pleasure to enjoy this dish is to choose a seat near the casting furnace. Early in the morning, it is still cold, so sit close to the stove, as if you are warm. When the cake is cooked, the aroma quickly spreads in the space that will make you cease to rub. The filling is the highlight of the dish, including quail eggs, chicken eggs or duck eggs, which are poured on the cake surface when the dough is nearly nine. What makes the delicious taste of this dish is the well-prepared dipping sauce including fish sauce mixed with onion and chili or satay. If you can't wake up early to go "cloud hunting" like photographers, you can slowly enjoy breakfast and move towards Trai Mat. 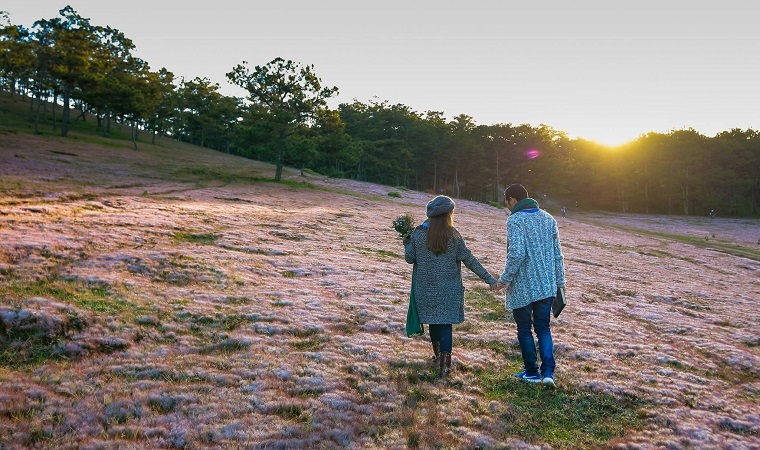 At this time, the sun has risen, trees visible on the plateau will make you less cold. 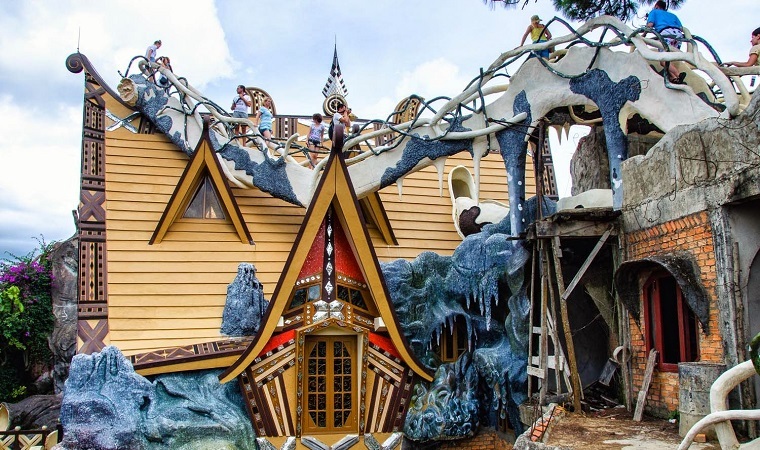 Cau Dat is more than 20 km from the center of Dalat city in the southeast direction. 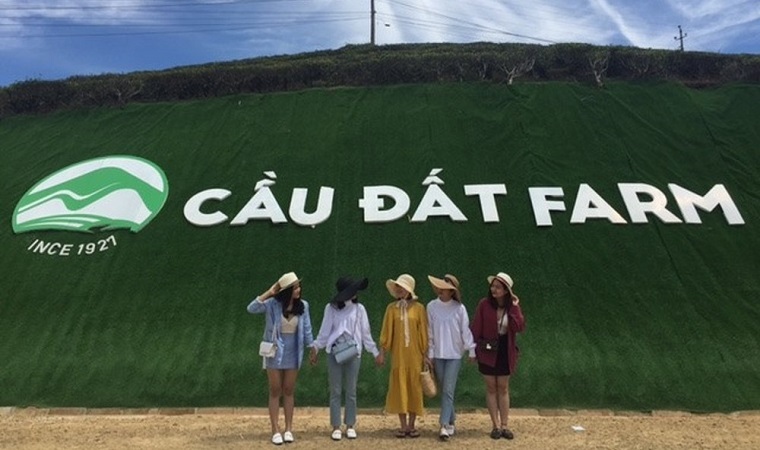 You go to Tran Hung Dao Street - Hung Vuong, exit to Highway 20 and follow the instruction board to Trai Mat, go straight to Xuan Truong village, and ask for directions to tea hill under Cau Dat Tea Joint Stock Company. 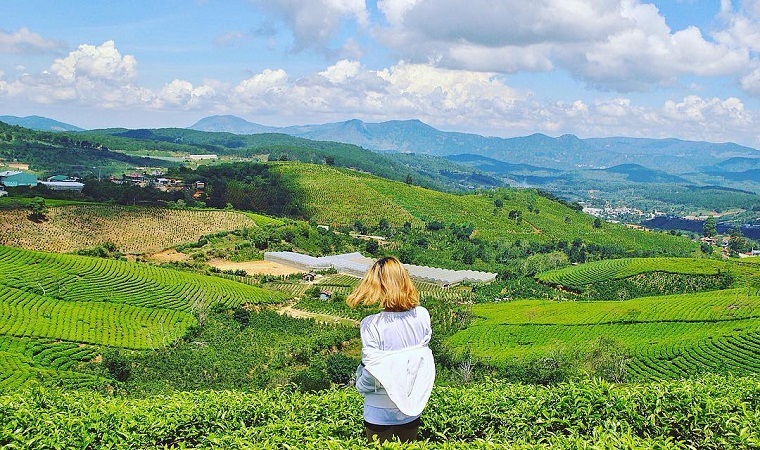 After a long road with winding slopes, Cau Dat tea hill in Xuan Truong commune gradually appeared with a green color stretching on the hills one after another. This area is over 1,600 m above sea level, so the climate is cold and foggy all year round. In the morning sun, green tea buds reach for the sun. 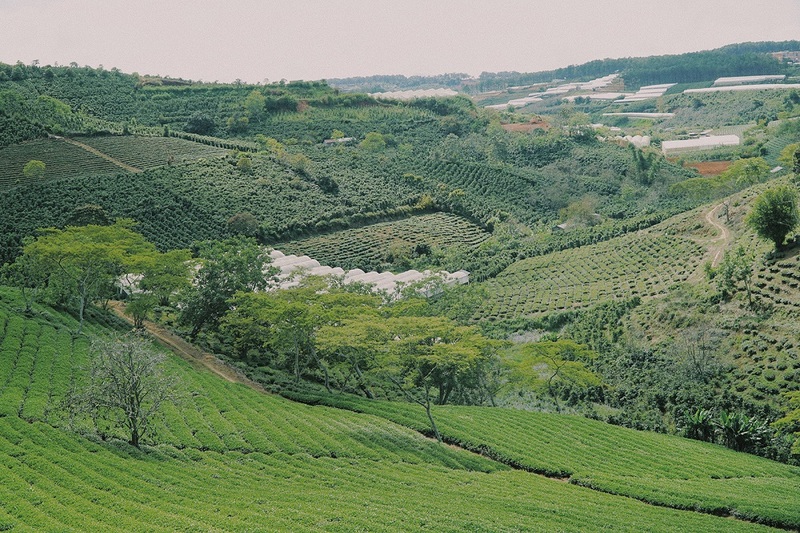 Thousands of tea hills are more visible in sight. Somewhere some "lonely" trees rise soaring between regular tea beds. 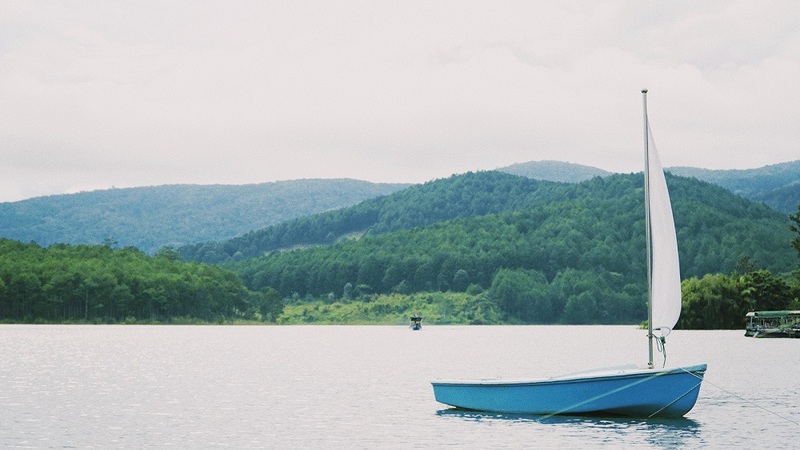 A vast blue color stretched to the horizon. When workers weave into tree beds, it is time for life in the hundred-year-old village to return to its normal rhythm. After visiting, you return to the main road, visit the noodle shop, Quang noodle or noodle soup for lunch. 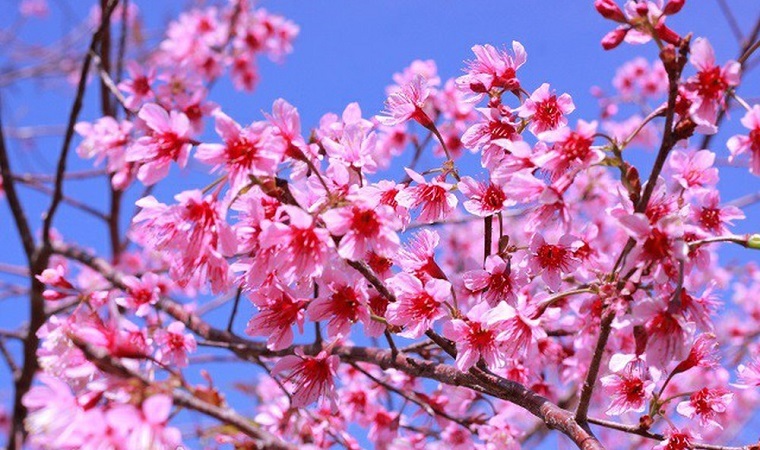 Not only is Da Lat's iconic flower, cherry blossom is also an unforgettable memory among tourists coming here in the spring. The flowers start showing off from January as the spring sign is coming. 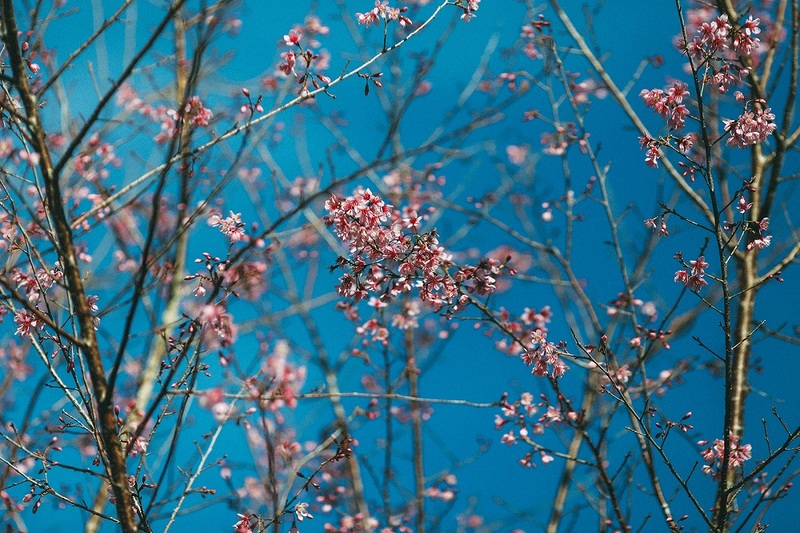 In the background of blue sky, flower rows bloom blooming colors forming an ideal check-in photography background. 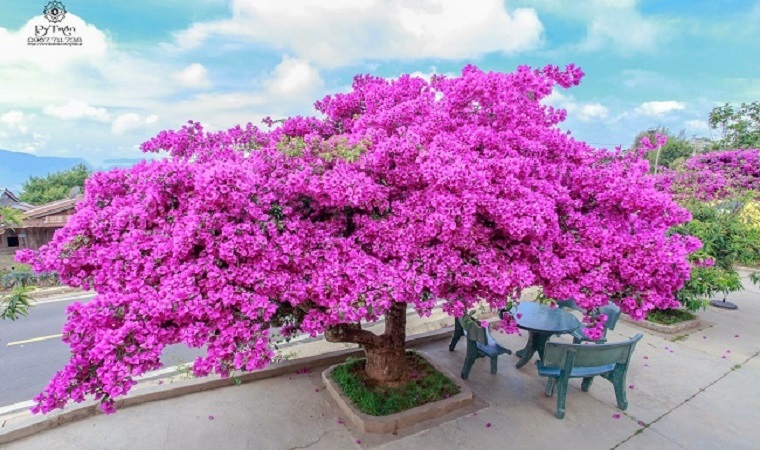 Cherry blossoms often bloomed along the banks of Xuan Huong Lake, Tran Hung Dao Street, especially the famous Da Quy slope road with beautiful "pink shirt" trees. Grilled sausage is not a familiar dish for Da Lat people but it is chosen by many tourists. 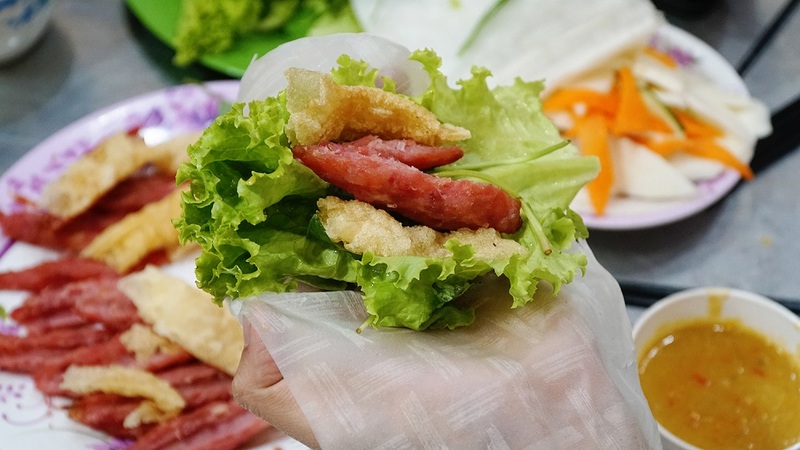 You can go to grilled sausage shop located in Hoang Van Thu planning area with spacious and clean space. 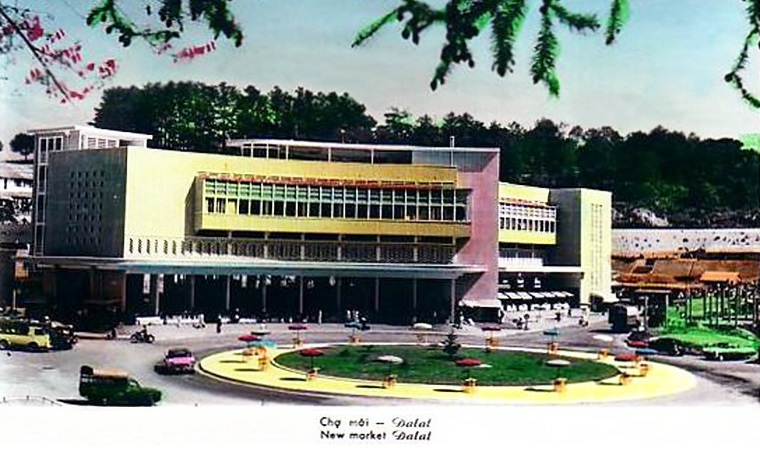 The store was opened in the year 2000. Grilled sausage made from meatballs, wrapped around bamboo sticks and then put on red charcoal stove. The dish is dotted with yellow, that is cooked from bone broth and soybean paste, adding some spices to the mouth. 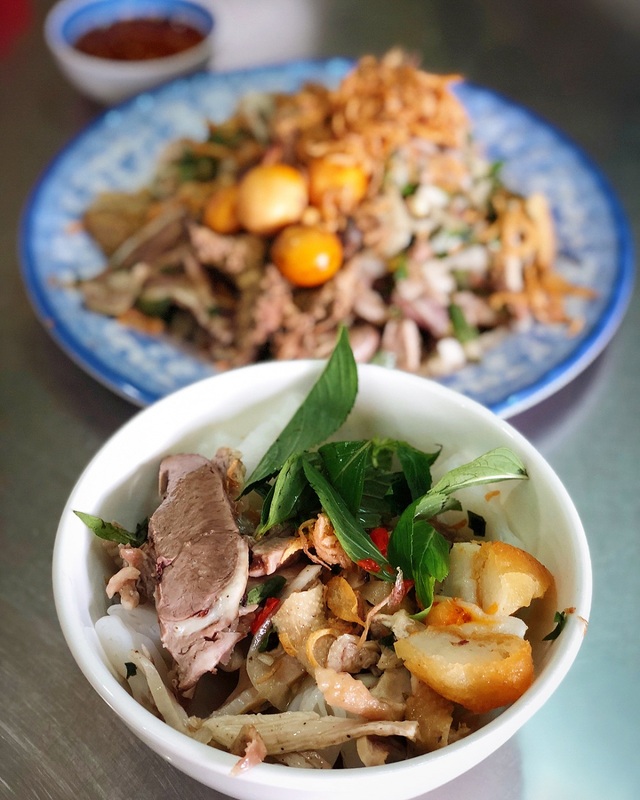 The fatty taste of the meat, the sweetness of the sauce and the crispness of the rice paper with a thick sauce will make you forget this dish. 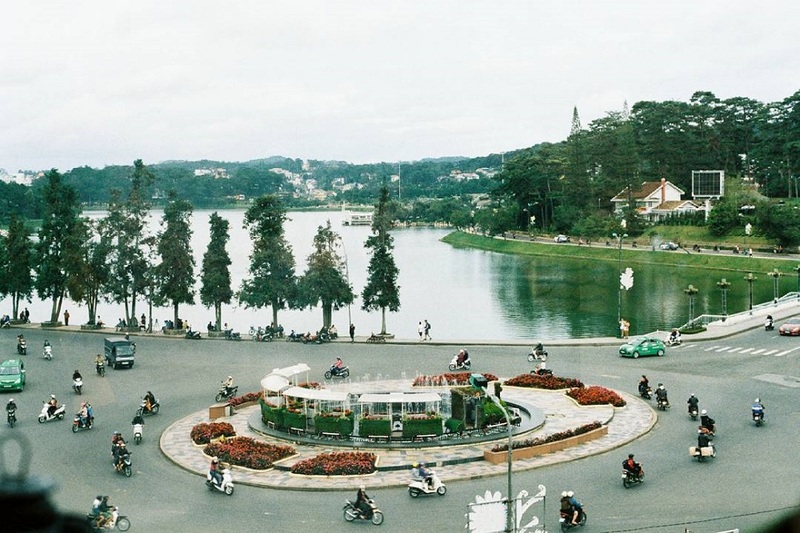 Da Lat city is considered as fun as the capital of jam. 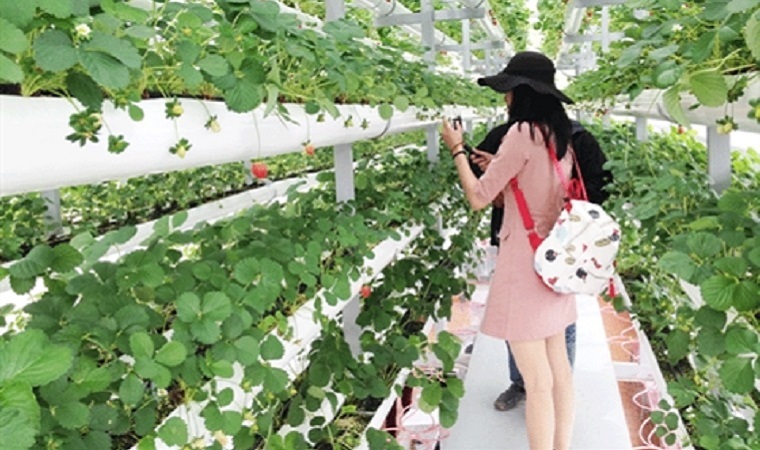 Guests have the opportunity to choose and buy more than 30 types of jam, from fruits, vegetables to flowers with a lot of sweet and sour flavors. 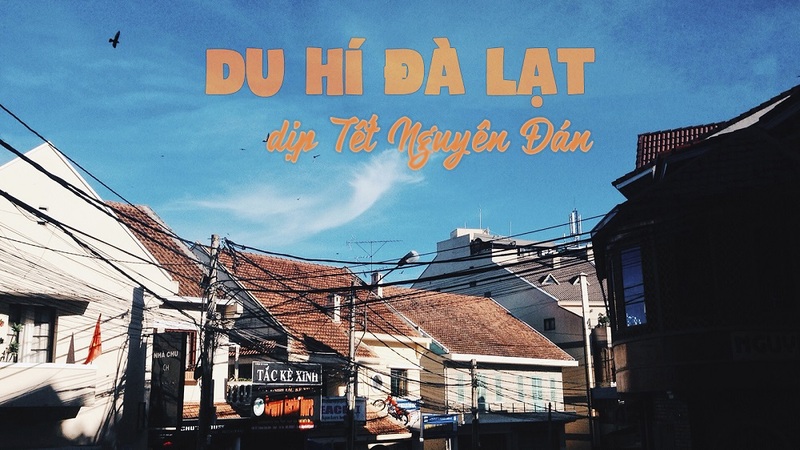 Da Lat jam is quite diverse, attracting buyers. Don't forget to try the taste of these items before buying. Another special specialty that you should not ignore is teas: Olong tea, jasmine tea, artichoke tea, green tea until tea bag. Besides tea, 3 in 1 coffee, blended or coffee beans are also easy to find. You can go to the night market, Hoa Binh area or some shops on the central streets to find buying. 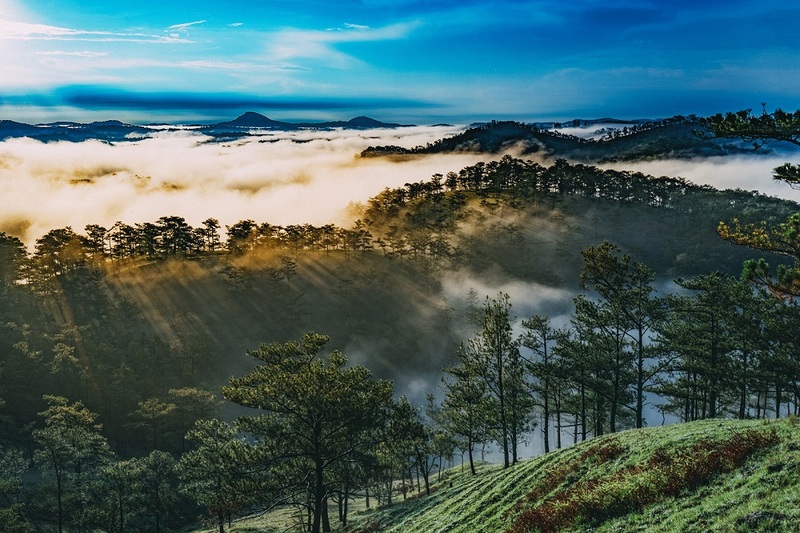 According to forecasts, the weather in Da Lat on the Lunar New Year is quite cold, with fog in the evening. You should prepare extra shirts and other moisturizers. The weather in Da Lat was also rainy in the afternoon. Guests can prepare extra umbrellas, hats or raincoats, electronic storage bags if moving away from the center. Around the market or shops, shopping areas often have a number of people rowing guests. You should be careful to avoid being cheated and cut. If you rent a car yourself, you should check the vehicles in advance to ensure safety in the move.